Whether you are new to Feng Shui or you may have read books, my courses and workshops are designed for you to take your knowledge to a deeper, more serious level. Many people become confused after reading books about Feng Shui, because the information is sometimes unclear. Any confusion you have will be cleared up in my courses or workshops. They are packed with practical and useful information, pictures, and formulas you can immediately use, to give you the fundamentals and practical knowledge so that you can be using and experiencing Feng Shui in action in your own life immediately. Do you want to know Feng Shui that is specific to you? Do you want to start using Feng Shui for yourself and your family? Do you want to learn formulas so that you can start using Feng Shui in your own home and office? 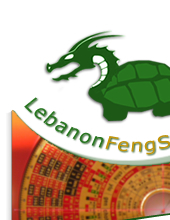 My courses and workshops will give you a clear understanding of what Feng Shui is and you will learn how to apply it in all areas to improve your life and your family's life. 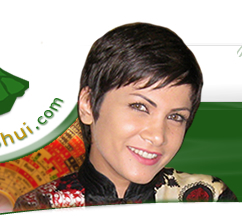 You will learn the fundamentals of Feng Shui step by step in an easy to understand way. Examples and slides are shown throughout the session(s) to reinforce the concepts presented, and ensure that every student understands the formulas used and is able to easily implement positive changes. After attending, everyone will have acquired a Feng Shui eye, which means they will be aware of any poison arrows around their homes, offices, and bodies, and they will never look at things the same way again. Every student will leave the course feeling more confident that they can do simple changes using Feng Shui and improve their lives and the lives of others. Now you are able to take advantage of this powerful tool and create the changes that you desire in your life. For more information about the fees/location please contact me by phone or mail.